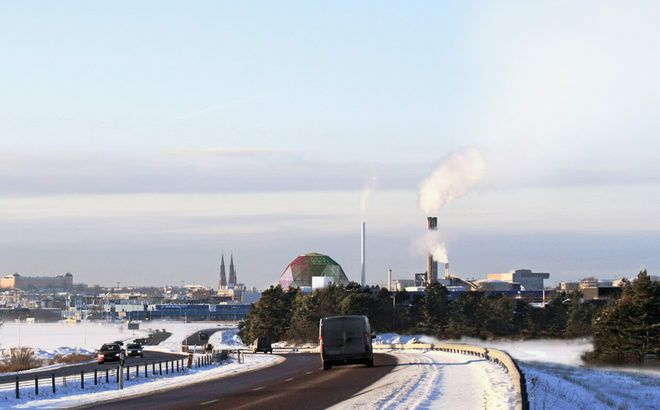 Bjarke Ingels might be using his talents to embellish another European power plant. 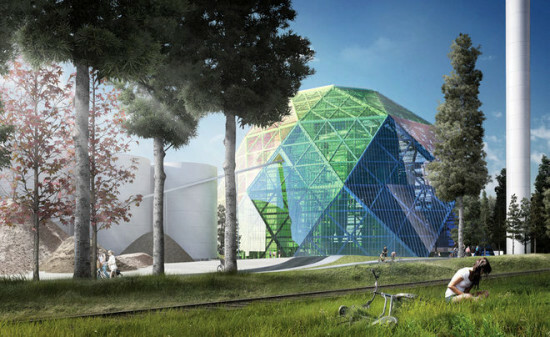 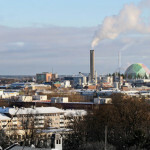 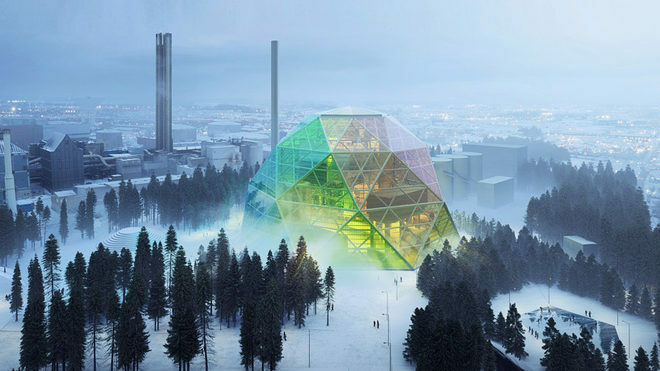 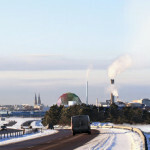 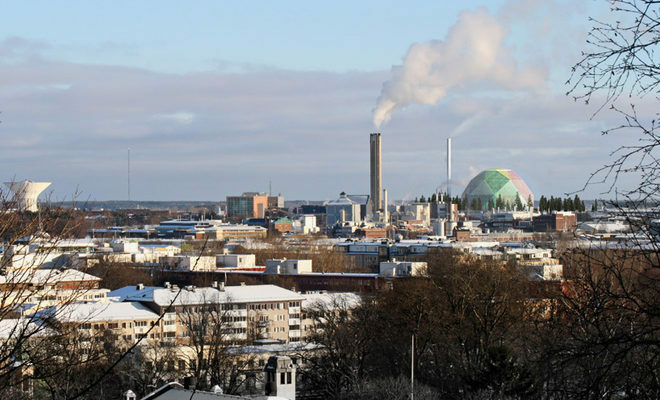 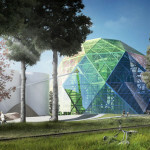 With his ski slope-topped waste-to-energy plant underway in Copenhagen, the Danish designer has unveiled plans for a biomass cogeneration plant in Uppsala, Sweden. 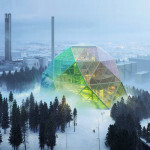 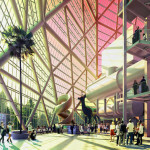 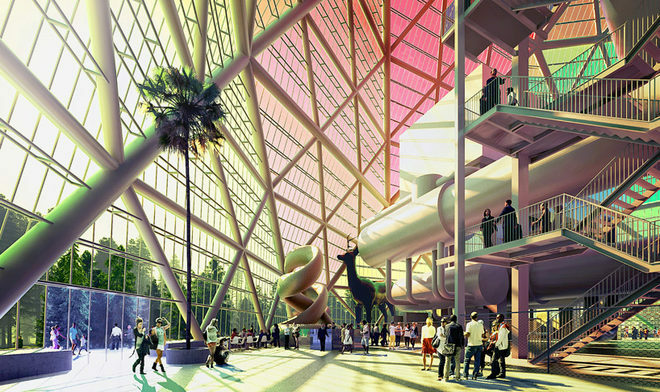 DesignBoom reported that city officials asked Ingels to design the facility that would supplement the region’s energy infrastructure during the winter. 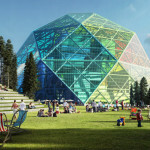 Since the building will not be used during the summer, BIG opted to create a colorful public amenity. 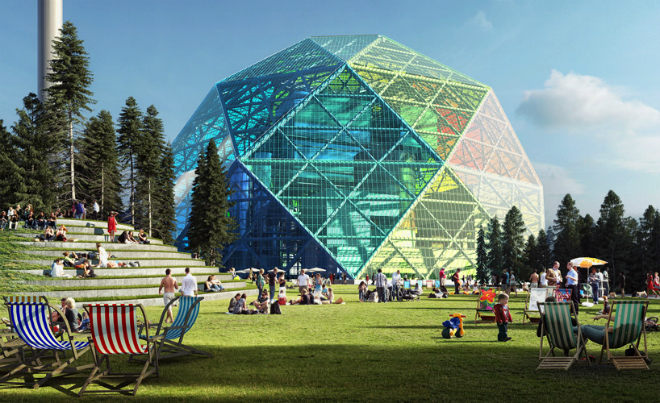 That meant topping the plant in a geodesic rainbow dome which gives the whole thing a very funkadelic greenhouse-y feel.